There is a hackneyed expat gag about Tajikistan’s national airline. Tragic Air, they call it. Tajik Air’s worrying reputation is mainly down its presumed lax safety standards, although the carrier has experienced no major calamities since a 1997 accident in the United Arab Emirates in which 85 people were killed. But after years of hobbling along, the airline, weighed down by crippling debts, is running out of road. Sources familiar with developments at the carrier have told Eurasianet that close relatives of President Emomali Rahmon are now ready to acquire the company for a pittance. While it was no secret that Tajik Air was struggling, the latest crisis came as an unexpected New Year surprise for fliers. On January 1, the carrier announced it was cancelling flights on its Dushanbe-Moscow route until the fifth day of the month. “My uncle was supposed to fly from Moscow to Dushanbe, but one day before departure, he received a message that the flight had been postponed for up to four days,” Saodat Turayeva, who lives in Moscow, told Eurasianet. Turayeva said the airline provided no explanation for its actions, but that it did offer to refund the cost of the tickets and helped organize flights with other carriers. Since then, the scale of Tajik Air’s troubles has only deepened. Earlier this week, the state-owned airline announced it was suspending all flights until the end of March. All the pilots, crew and ground staff have been put on unpaid leave. Over the past 15 years, Tajik Air has accrued around $14 million worth of domestic debts for airport and air navigation services, on-board catering and fuel deliveries. The source at the airline said the company’s international liabilities are vastly greater, but the figure he provided could not be independently verified. All had seem relatively fine until the end of 2018. Tickets had been sold for flights three months in advance. In October, the company announced it had taken out a lease on a 50-seater Bombardier CRJ200 – the first in a series of similar planned operations. 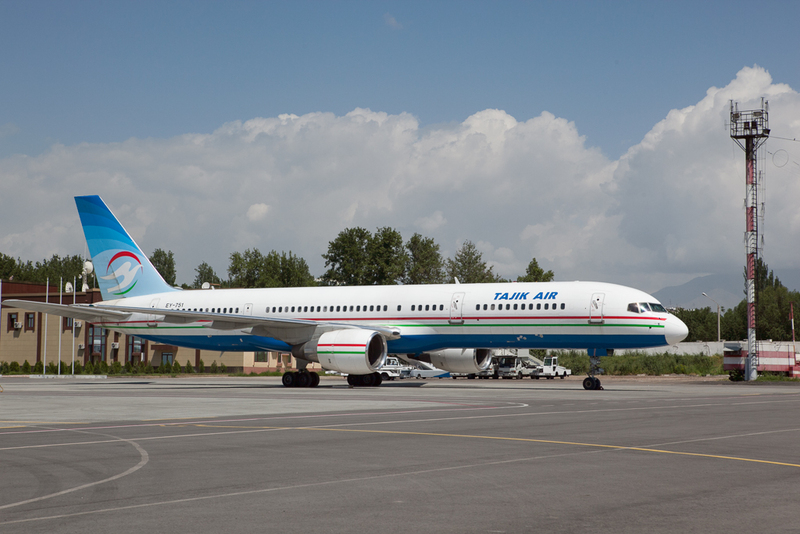 There has been talk of starting daily flights to Samarkand, in Uzbekistan, and establishing a direct connection to Sharjah in the United Arab Emirates. But at the start of the year, Tajik Air was informed by its fuel supplier, TZK, a company close to Hasan Asadullozoda, the brother of President Rahmon’s wife, that deliveries would be suspended. The director of TZK is Asadullozoda’s nephew, Ilhom Sohibov. “We do not have the kind of debts that would justify them not giving us fuel,” the source at the airline told Eurasianet. Other calamities struck at the same time. Airports in Russia suddenly declared that they would no longer accept Tajik Air flights unless the carrier cleared its debts. “Airlines have always had debts, but this is the first time ever that they have refused flights over unpaid liabilities,” the source at Tajik Air said. Aviation authorities in Moscow went even further, removing the Tajik airline from the Russian-owned Sirena-Travel computerized ticket reservation system. 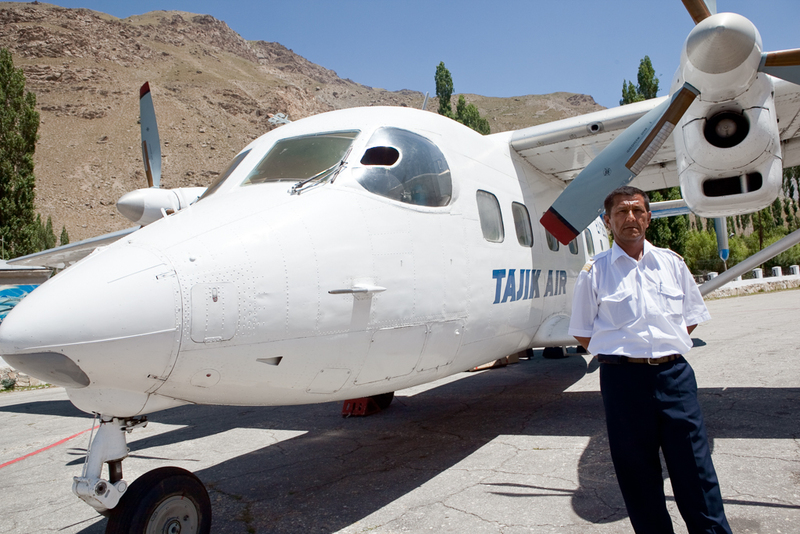 A sliver of relief to hopeful travelers initially appeared to have come from Tajikistan’s other airline – Somon Air. The optimism was quickly dashed, however. The privately owned carrier announced new routes to Moscow and St. Petersburg. Tajik Air had weeks’ worth of fully sold-out flights planned to both those Russian cities and seemed to have reached an agreement with Somon Air for the latter to take on those ticket-holders. But Somon Air then started to sell tickets for those very same flights, depriving Tajik Air customers of potential seats. As things stand, if there are vacant seats on Somon Air, unlucky Tajik Air ticket-holders may get them. If not, tough luck. In what may or may not be a coincidence, Somon Air is controlled by Hasan Asadullozoda. Tajik Air sought to cut its losses by at least servicing routes to India, Kyrgyzstan and Uzbekistan. But on January 15, as preparations were under way for a flight to Delhi with the leased Bombardier CRJ200, the company got news that another of its aircraft – a Boeing 757-200 – had been impounded at the request of TZK. 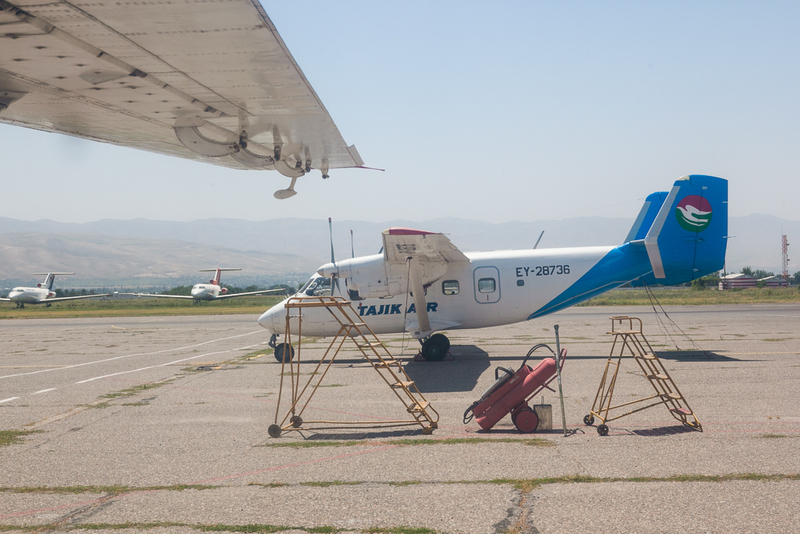 The fuel supplier said it would hold onto the plane and refuse to supply more fuel until Tajik Air cleared its debts. The India flight was cancelled as a result. A state commission was set up to investigate the current condition of the airline. The commission, which is presided over by the prime minister, was due to hold a hearing on January 14, but that has been pushed back to January 21. Tajik Air executives see three possible outcomes. One is for the airline to merge with the company running Dushanbe airport. Another is to declare the carrier bankrupt, for its debts to be wiped clear and for the government to sell it off to the best-positioned bidder. Industry watchers in Tajikistan believe the most likely candidates would be Tahmina Rahmon, one of President Rahmon’s seven daughters, and her husband Zarifbek Davlatov. Reports in Tajik media suggest a name has already been cooked up – Vatan Air. Were this or any other scenario involving a private investor pursued, it is unclear who would be landed with the debts. The pair are already involved in the aviation business through a ticketing company called Air Communications Agency. Tajik Air has little choice but to sell its fares through Air Communications Agency, which claims a 14 percent commission – a considerable margin over the amount normally charged by such intermediaries. 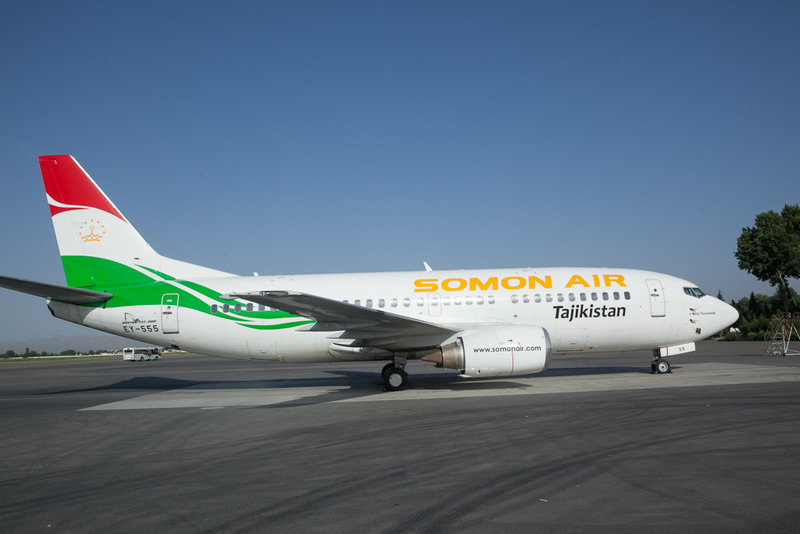 A third probable suitor is none other than Somon Air, whose ultimate beneficiaries have done so much to cause Tajik Air’s predicament in the first place.